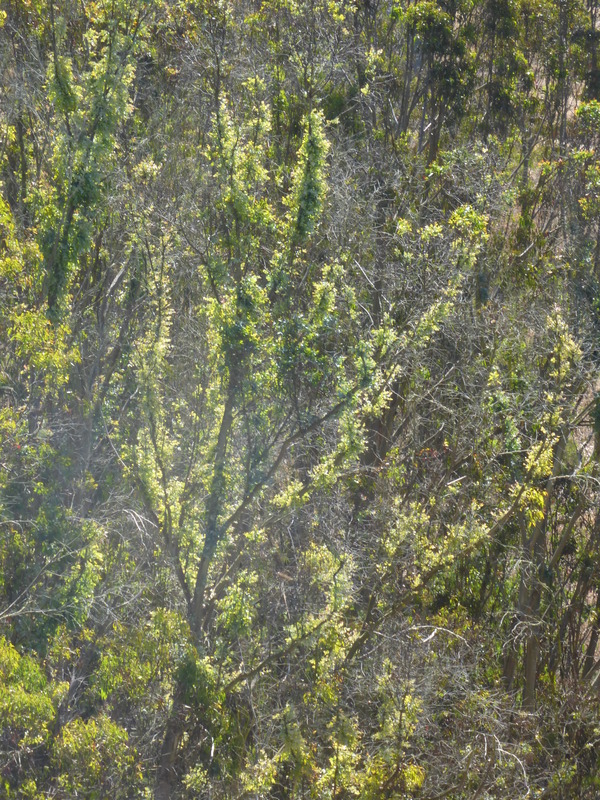 Last week, we told our readers about the California Invasive Plant Council’s (Cal-IPC) draft reassessment of blue gum eucalyptus, Eucalyptus globulus. (available HERE) Cal-IPC is accepting comments on its draft until July 31, 2014 (send to info@cal-ipc.org). 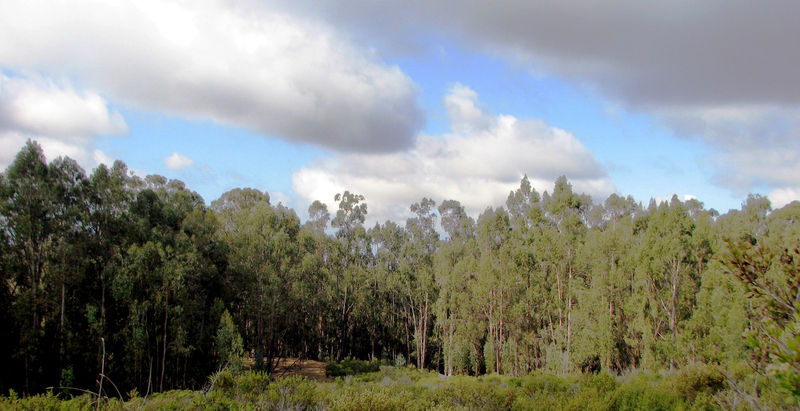 Although Cal-IPC now acknowledges that blue gum has “low invasive potential” and its population is stable in California, it proposes to maintain its over-all classification of “moderately invasive.” You might wonder how Cal-IPC manages to accomplish this sleight of hand, so we will tell you how its scoring system enables it to maintain its overall rating of blue gum. Cal-IPC has three main evaluation categories: “Impact,” “Invasiveness,” and “Distribution,” which are combined to produce an over-all rating. Cal-IPC’s draft lowers the rating of “invasiveness” to “limited,” but it has changed its rating of “impact” from “moderate” to “severe.” These changes cancel one another, enabling them to reach the same over-all rating of “moderately invasive.” In this post, we will focus your attention on Cal-IPC’s opinion of the “impact” of blue gum so that you can see how they arrived at their conclusion. As we told our readers recently, the drought in California is making water use an important issue that is getting a lot of attention, as it should. Native plant advocates have not hesitated to jump on that band wagon. For example, they now claim that eucalypts in San Francisco are dying of drought. With the help of a highly qualified arborist, we evaluated that claim in a recent post and reported that the trees are reacting to the loss of their understory and their neighboring trees, as well as the herbicides used to kill the understory and prevent their former neighboring trees from resprouting from their stumps. Given this recent experience, we weren’t surprised to find that Cal-IPC has introduced accusations of extreme water use into their assessment of blue gum for the first time, and this new issue helps them to claim that blue gums have a “severe” impact on the environment. Now let’s drill down into this claim, examine the source of the claim and tell you why we believe this is another bogus issue used to vilify eucalyptus. Tracking down the truth about water use by blue gums was a bit like a game of gossip. Starting with the final version of the rumor in Cal-IPC’s draft reassessment, we tracked that version back to its original source. We found exaggeration at each iteration of the rumor, from its source to its landing in the Cal-IPC draft. The final version bore little resemblance to the original version. The original version is over 100 years old and therefore describes circumstances that have since changed substantially. In other words, the extreme root lengths reported by DiTomaso & Healy are an anomaly, only found in specific conditions and unusual cases. The roots of E. globulus are “rarely” deeper than 10 feet, according to this original source of information regarding the roots of E. globulus. Contemporary sources which are not trying to make a case against E. globulus describe its roots in a less extreme manner: “Bluegum eucalyptus generally does not form a taproot. It produces roots throughout the soil profile, rooting several feet deep in some soils.” (Esser 1993) Also: “Bluegum eucalyptus generally does not form a taproot. It produces roots throughout the soil profile, rooting several feet deep on soils that permit it, or shallowly otherwise.” (Skolmen & Ledig 1990) Esser and Skolmen wrote their evaluations of blue gum for the US Forest Service. We will assume that Sellers’s observations are accurate, but we will now consider the possibility that an observation that is over 100 years old may not be relevant to present conditions. For a more contemporary perspective on blue gum, we turn to R.G. Florence, an Australian academic scientist who studies eucalyptus and was also a visiting professor at UC Berkeley. R.G. Florence helps us to understand why the observations of Sellers may be very different from more recent observations: “As a tree develops through the sapling and pole stages it will tend to form a main root which penetrates vertically downward, but this main root is rarely significant in a large tree.“ (2) Florence reports that E. globulus uses more water during early stages of growth, when it is growing quickly, than it does as a mature tree. Sellers was reporting in 1910 at a time when most eucalypts in California were young. Their roots may have been longer during these early stages of growth. Since E. globulus has not been planted in California for decades and is no longer available for planting, its root structure at early stages of development is irrelevant to evaluating its behavior in California presently. Is blue gum drought tolerant? Water use is greatest when the trees are young and generally tapers off as the tree grows, between 10-15 years of age. As we have said, only mature E. globulus exists in California presently or will in the future. Pryor’s description of drought tolerance of eucalypts was published 20 years earlier than Florence at a time when variations in drought tolerance of different species of eucalyptus had not yet been studied. He therefore, does not report on the ability of E. globulus to withstand drought, as Florence does in 1996. He acknowledges some variability with respect to drought tolerance in genus Eucalyptus, which is consistent with Florence’s later report specifically about E. globulus, although Pryor says nothing specifically about E. globulus. E. globulus was planted most widely along the coast of California. Most of the coast of California is foggy during summer months, when there is little if any rainfall. 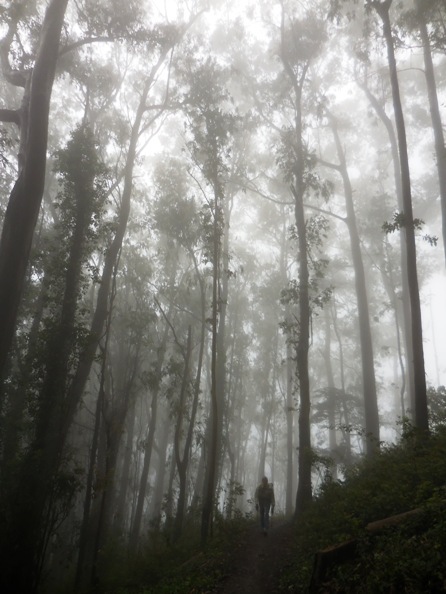 Tall eucalypts are known to condense the moisture in the fog which has been measured to double annual rainfall. (3) In these regions, eucalyptus is essentially self-watering. Ironically, Cal-IPC acknowledges this self-watering feature of eucalypts: “The volume of water channeled down the stem is about eight times more than that of falling rain, so soil at the base of trunks receives relatively large quantities of water…” (May & Ash, see “allelopathy” section of Cal-IPC draft). Please come to the defense of our urban forest! We hope that we have made the case that the draft reassessment is not a fair evaluation of the predominant tree in our urban forest, blue gum eucalyptus. We ask that you write to Cal-IPC by July 31st about their biased reassessment. Tell them why you think our urban forest is important to the environment and the people and animals living in it. Ask them to remove blue gum eucalyptus from their “hit list” which is being used by managers of our public lands to justify the destruction of our urban forest. Thank you for your help to save our urban forest from being needlessly destroyed. Update: On March 13, 2015, the California Invasive Plant Council published its final reassessment of Blue Gum Eucalyptus (available HERE). Cal-IPC has downgraded its rating of invasiveness and ecological impact from “moderate” to “limited.” Although the detailed assessment is less than perfect, the over all rating itself is an improvement. Thanks to those who sent comments to Cal-IPC.